Houston is a font of homeschooling awesomeness! 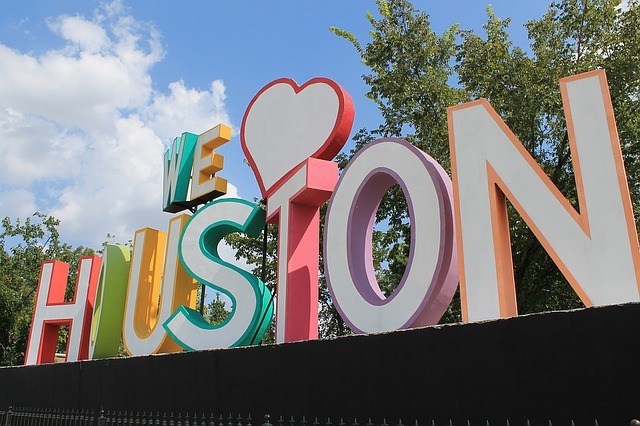 This is is a list of day-to-day activities available to Houston homeschoolers. As you are planning out a weekly schedule and you find holes check in here to see the options. Upcoming homeschool days have been added to our Calendar of Events, please check there for the most up to date information about specific Homeschool Days. Dedicated Homeschool Day September 27th, 2019 and most Tuesdays Homeschool Groups are welcome. Upcoming 2018 topics: Snakes, Monkeys & Apes, Sea Lions & Sea Turtles, and Lions, Rhinos, Giraffes, and More! Upcoming Dates: October 9, 2018, February 19, 2019, & October 15, 2019, 9 a.m. -5 p.m.
Texas A & M Physics Festival (College Station) � Free, not actually a homeschool day but so cool! February 19th 2019, 10 a.m. � 4 p.m.
MWF 1-2 p.m. and W 2-2:30 p.m. Meets one Monday for three months from 9 a.m. � 2 p.m.
M, T, W, Th 9:30 a.m.-noon and 12:30-3:00 p.m.
Ages 6-12, Mondays 2-3:30 p.m.
Ages 13+, Tuesdays 2-3:30 p.m. Fitness for Homeschoolers M 1-2:30 p.m., Creative Corner M 2:30-4 p.m., Adventure Challenge M 4-5:30 p.m.
Tuesdays 3rd-5th, 1-2:15 p.m. & 6th-12th 3-4:15 p.m.
Tomball Bowl: M 2:30-4:30 p.m.
Tu or Th 12:45-1:30 p.m. � trial classes available! Drop-in rate $18 per participant. Discounts available for groups scheduling together and monthly packages. Magnolia/ The Woodlands 10 a.m. & 11 a.m. and NW Houston 1:45 p.m. & 2:45 p.m. I Love Art � 6-9 year-olds 11:30 a.m. � 12:30 p.m.
Jr. Yoga Tu 1-2:30 p.m., Reading Enrichment Tu 2:30-4 p.m., Creative Corner Tu 4-5:30 p.m.
Waller:�Beginner or Intermediate Band (TBD) classes beginning at 8:20 a.m. & 9:20 a.m.
Group lesson begins at 10 a.m., includes skate rental and option to skate until 2 p.m.
NW Houston: Th 12-3 p.m. Martial Arts: Wednesdays & Thursdays 11 a.m. � 12 p.m.
Mad Science W 1-2:30 p.m., Creative Corner W 2:30-4 p.m., Just for Fun Sports W 4-5:30 p.m. Returning students 11:30 a.m. � 12:30 p.m.; New 10-14 year-olds 12:30 p.m. � 1:30 p.m.
Scouts: Cypress Homeschool Association (CHA) Cub Scouts meet 1st & 2nd Thursdays in NW Houston, 2:30-4:00 p.m. and the Venturing Crew meeting 2nd & 4th Tuesdays, 6:30-8:30 p.m.
CHA also charters a Girl Scout Troop that meets on Fridays, and a Scouting, BSA Troop. Tew Academy of Irish Dance (Clear Lake): Ages 4/5 11-11:30 a.m., all other ages 11:30 a.m. � 12:30 p.m. Fitness for Homeschoolers Th 1-2:30 p.m., Mad Science Th 2:30-4 p.m., Creative Writing Th 4-5:30 p.m.
Th & Fr 11 a.m.
Choir: Fridays 10 a.m. � 11:30 a.m., ages 8-13A 16-week session with a performance at the end of the session, $200. Grades 6-10 -�Fr 12:30-1:45 p.m.
Grades 2-5 – Fr 11 a.m. – 12:15 p.m.
Scouts: Cypress Homeschool Association (CHA) Girl Scouts meet the last two Friday’s of the month in NW Houston, 2 p.m.
P/C Sensory Fr 1-2 p.m., P/C Jr. Yoga 2-3 p.m., Reading Enrichment Fr 3-4:30 p.m., Adventure Challenge Fr 4:30-6 p.m.